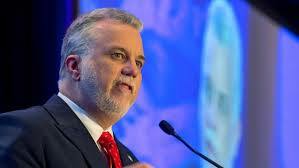 A contentious election involving a so-called "Charter of Values" has seen the separatists in Quebec turfed from office. The incoming Liberals are promising real financial reform. The Investment industry officially welcomed the announced new direction. Richard Morin, managing director of the Investment Industry Association of Canada (IIAC), released a statement welcoming the announced financial principals. Morin said he was pleased to hear a commitment to eliminating the budget deficit in the 2015-2016 year. Morin went on to say there is much more work to be done. Once the deficit is dealt with the priority should be to paying down the province's debt and reducing the tax burden on households and companies. "We recognize that this is a 'transitional' budget and expect structural reforms to be announced as a result of the formation of the Quebec Taxation Review Committee and the Ongoing Program Review Committee," Morin said. "Those structural reforms should be aimed at reducing the role of government in the economy and fostering an environment where the private sector can fully play its role and create jobs and wealth for all Quebecers." The release notes IIAC was disappointed to see that the budget did not include a recommendation to revitalize Quebec's struggling IPO market through a statement of principles. Morin said IIAC will continue to work with the Quebec Taxation Review Committee to debate the impact of taxes on the sources of equity capital for Quebec businesses.